Light Light Black, SubliM™ Sublimation Ink; Liter, 1000ml; For Epson, Mutoh, Mimaki and Roland High Speed Wide Format Printers. Ideal for high-speed digital printing of sublimation heat transfers for both polyester fabrics and polyester-coated hard surfaces. 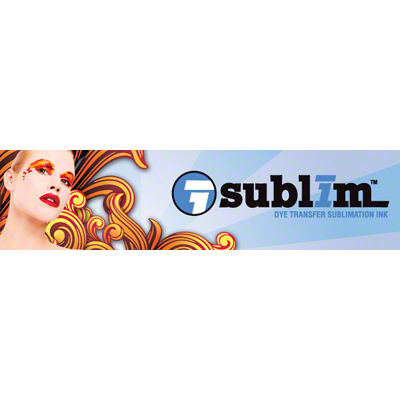 From superior color vibrancy, image quality and ink yield, to reduced maintenance and trouble-free unattended printing, SubliM delivers an industrial solution for your business.